What is National American Miss? 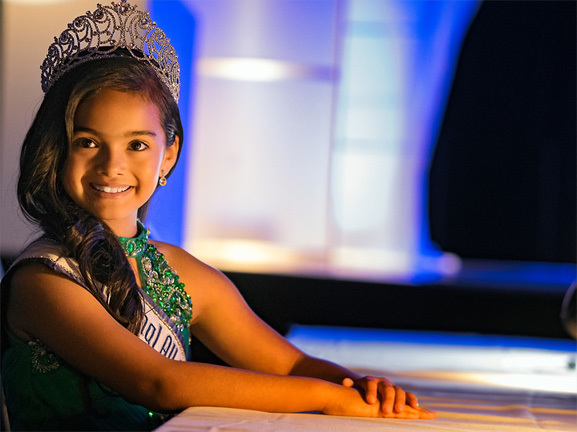 National American Miss is a pageant unlike any other! Our goal is to Grow Confidence and teach Real World Skills. Check out some of these amazing things about NAM! NAM is a program based on the foundational principle of fostering positive self-image by enhancing natural beauty within. National American Miss is a program designed for today’s girl. We celebrate America’s greatness and the individuality of American girls. It is a program centered around helping young ladies grow and expand their ideas about who they are and what they want to achieve. We want every girl to realize that she truly can take hold of her dreams and make them real! National American Miss has friendly staff members who will guide you throughout your pageant experience. Each and every team member is committed to opening doors of opportunity for girls that aren’t available anywhere else. Our concert level sound and lighting is unsurpassed! You will be proud to invite your family and friends to rally around and support you on pageant weekend. A program that teaches valuable skills that will give you a competitive edge to succeed in whatever fields you may choose.